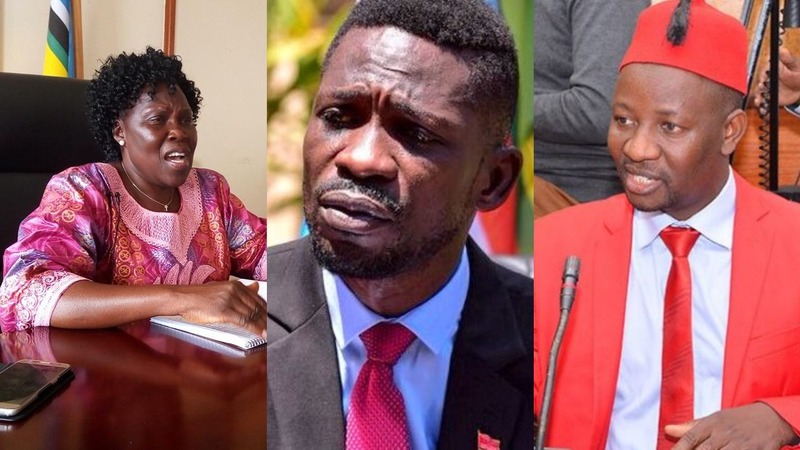 KAMPALA – The Leader of the Opposition, Betty Aol Ocan, has asked Parliament to reign in on the Police for acting outside the law when they blocked activities organized by the Opposition. Aol said the Police blocked their activities including public rallies despite being informed in writing as required by the Public Order Management Act. Late last week, Police blocked Kira Municipality MP, Ibrahim Ssemujju Nganda, from holding a public rally in his constituency, where he had invited several Opposition politicians. The MP was also prevented from leaving his Kira home. “I visited Ssemujju’s home but my vehicle was blocked from accessing his house. After a lot of pleading, I was allowed to walk for the rest of the distance to his house,” Aol Parliament on Tuesday, November 20. “Ssemujju presented to me a letter he wrote notifying the Police about the rally he was to hold in Kireka on November 16. Police acknowledged receipt on November 12 but wrote back to Ssemuju claiming to have received it on November 15,” she said. She also recalled other instances where Opposition leaders had notified police beforehand only for them to go ahead and cancel the rallies under unclear circumstances. Aol highlighted the blocking of Kyadondo East MP Robert Kyagulanyi aka Bobi Wine’s musical concert from being held in Namboole even after incurring advertising costs; and the disruption of meetings by FDC Party President Patrick Amuriat Oboi in Mbarara and Kasese districts. Aol warned that the human rights violations by the Police, if unchecked, would have dire consequences to the country. Ssemujju demanded an explanation from the government on why the military invaded his home, causing unrest to his family members whom he said to have nothing to do with politics. “My concern is the mistreatment of my family members. Military men descended on my house … I want the government to explain the crime my family members committed to being subjected to such mistreatment,” he said. The Minister of State for Internal Affairs, Mario Obiga Kania said he had not heard of the mentioned allegations and promised to investigate the alleged unlawful house arrest of the MP and his family members.